1. Begin by laying down 11-12 lolly pop sticks next to each other, making sure that they are all touching (do not glue these together). 2. 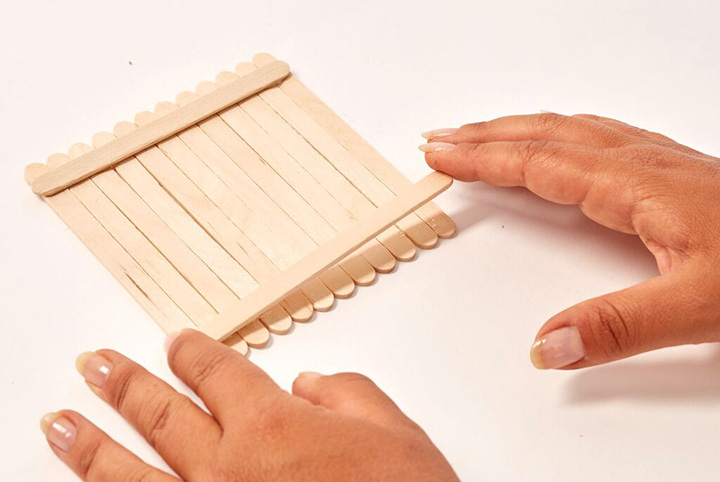 Glue the length of 2 additional lolly pop sticks, placing the first lolly pop stick across the top of the frame, and the second lolly pop stick across the bottom. These lolly pop sticks will not show on the frame, they’re used to hold the frame together. 3. Allow the glue to dry and then flip the frame over. 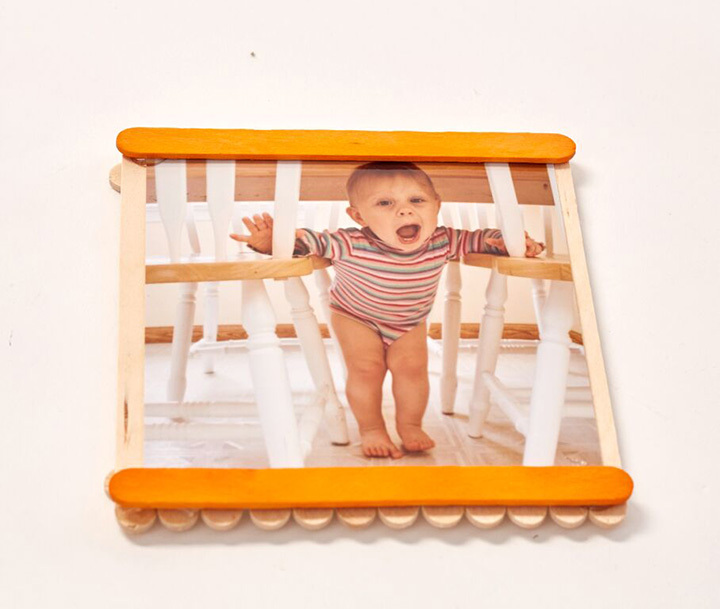 Place your selected 4×4″ Snapfish print into the centre of the frame (do not glue the photo down as it will crinkle). 4. Once you have your photo positioned, add glue to two coloured lolly pop sticks. 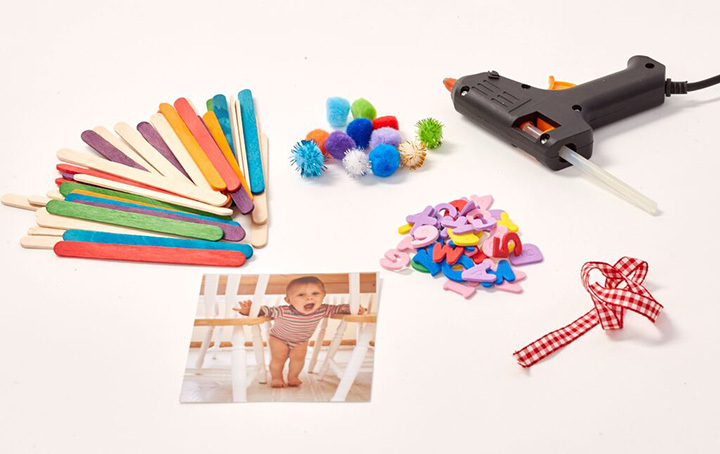 Place one across the top of the frame, making sure it is glued onto the lolly pop stick background and your photo, add the second across the bottom. 5. Place glue on the ends of the lolly pop sticks you have just stuck down. Stick down two additional lolly pop sticks so they connect at the top and the bottom, forming a frame for your photo. 6. 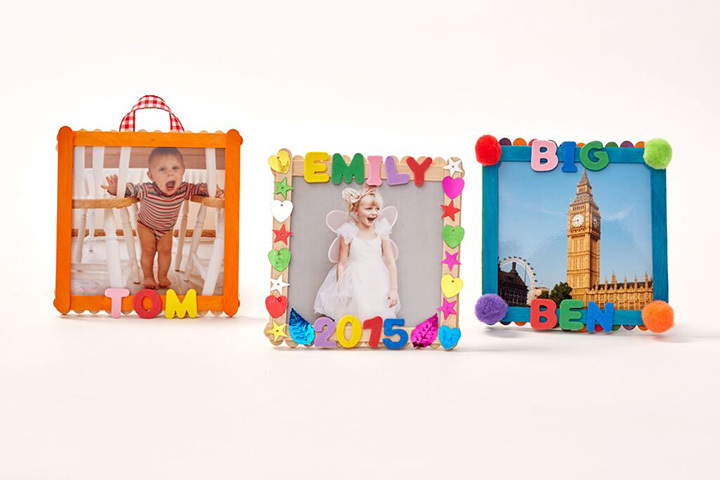 Allow the glue to dry and then add fun decorations to your frame! TOP TIP: Add foam letters to the frame and turn it into a bedroom door sign! 7. 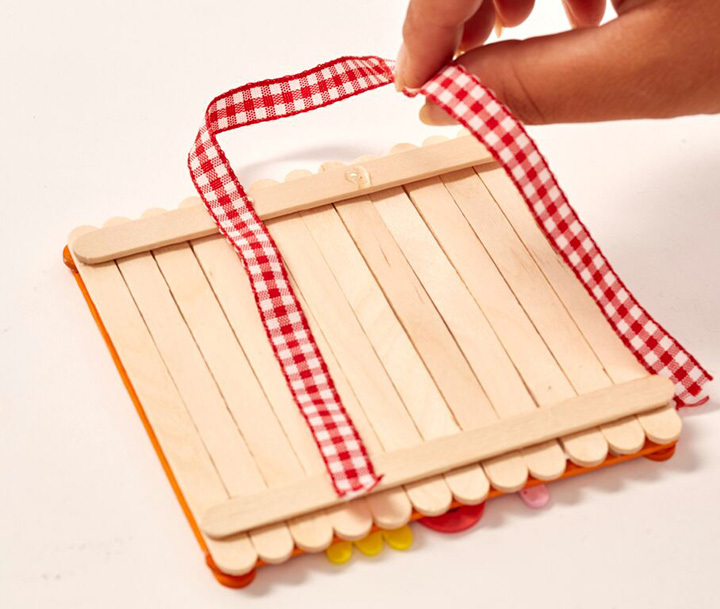 Attach ribbon/ string to the back of the frame so you can hang your fun photo frame. 8. Once the glue is dry your frame is complete! Simple! Note: 4×4″ prints are only available on the Snapfish mobile app! Download the Snapfish app today and get 50 free 6×4” prints a month for a year through the app! Tagged as 4x4" prints, DIY, how to, Inspirational, instagram, snapfish blog, snapfish DIY, Snapfish prints, snapfish square print, snapfish uk, square prints.